Howdy. Hope you’ve had a great week so far! Is it me, or did it go by slowly? I feel very ready for the weekend. 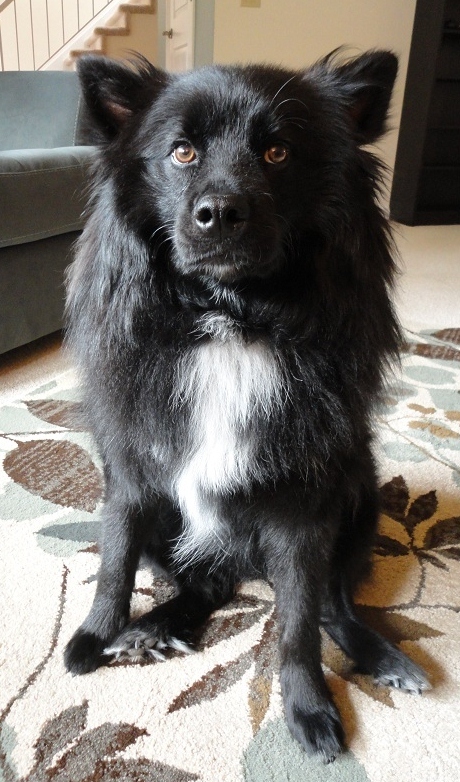 Are you coming to Seattle Humane Society’s Walk for the Animals on Sunday? I hope so. But if you can’t be there, I hope you’ll consider making a donation since all proceeds benefit dogs, cats, and other furry monsters at the Seattle Humane Society. My friend/co-worker AW and I went to lunch today and made a little stop off at Mud Bay to check out some dog goodies. It was glorious as usual. I could spend hours in a pet store. I snagged these bad boys which I thought would go nicely with tonight’s product. But, I’ll be returning them this weekend. I like the idea behind Bright Steps. 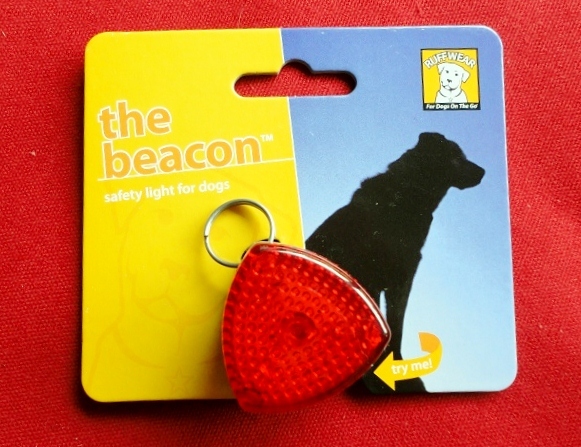 Rather than using a safety light, attach highly reflective material to your dog’s actual body for added visibility during early morning or nightly walks. 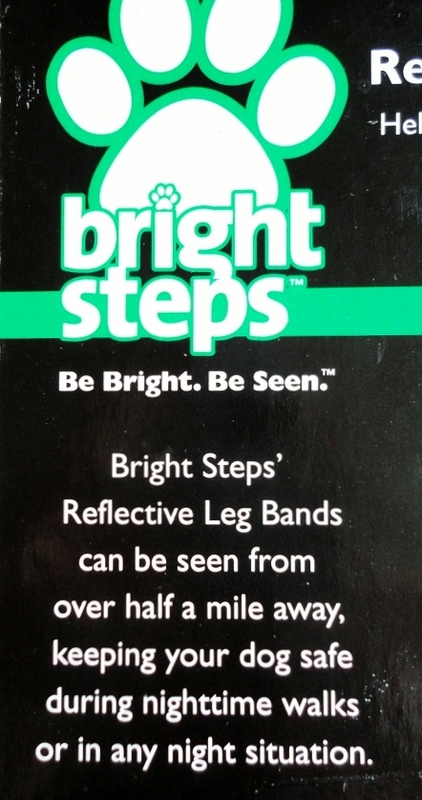 Bright Steps are leg bands for your dog’s front and/or back legs that are made of reflective material. 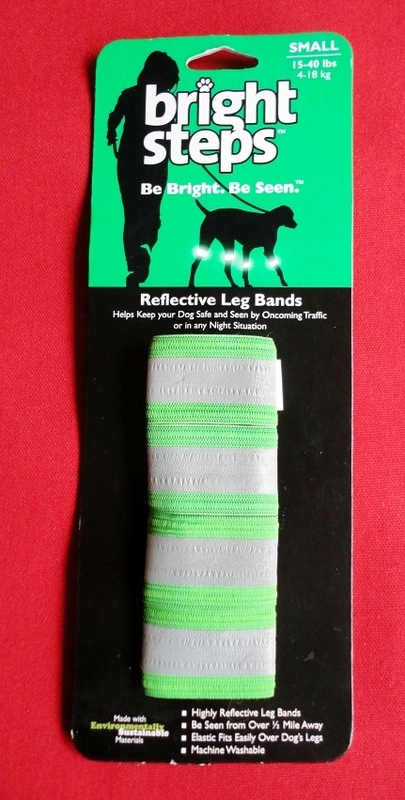 They have a touch of elasticity in them and should fit snugly around your dog’s leg(s). I’d show you what they look like on The Little Blogger, but, even though I got the size that fits up to a 40 lb dog, they were far too small. That’s issue number one – poor sizing. Issue number two is that they just felt…cheap. I can’t quite put my finger on it, but the material didn’t do it for me. And, even though I barely stretched them to attempt to fit them over Teton’s leg, I could see that the seams were coming apart in a big way. Thankfully, Mud Bay has a 100% satisfaction guarantee and I know I won’t have a problem returning them for a full refund. Sorry, Bright Steps. Good idea, poor delivery. On the bright (heh heh) side, I recently bought a safety product for Teton that I really like. 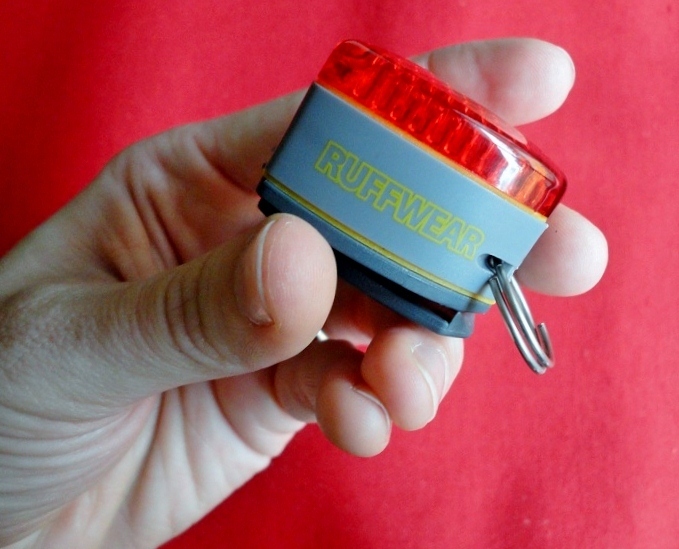 The Beacon by Ruff Wear is a safety light that you can attach to your dog’s collar or leash (or to yourself) while walking in the dark. At first I was worried because it’s pretty thick. 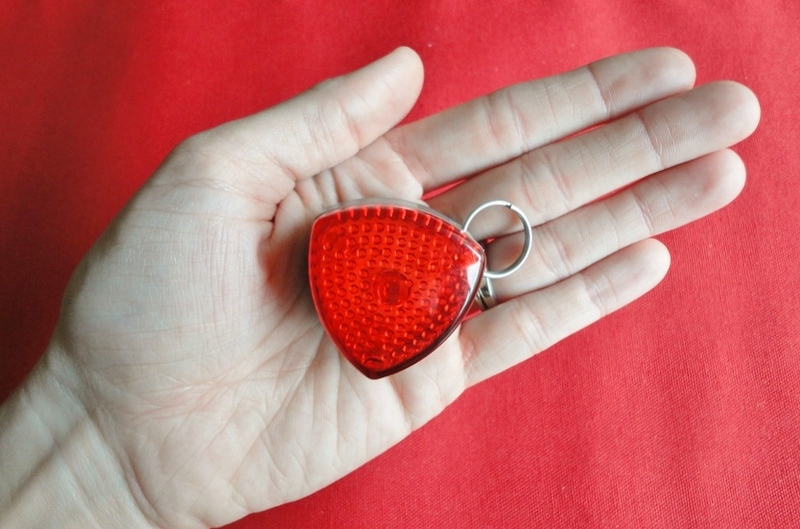 Definitely bigger than the Pet Blinker that we’ve been using. For how thick it is, it’s pretty light, so that’s definitely a plus. I try to be conscientious of how much weight I make Teton carry whether it’s in a pack or around his neck. 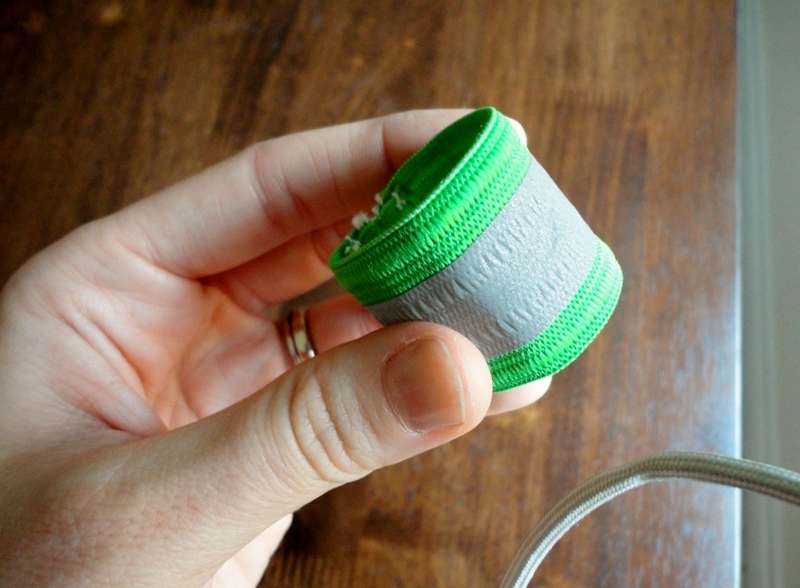 I really appreciate that you can attach The Beacon either with the ring or the plastic slidey doohickey thing. What are those called anyway? 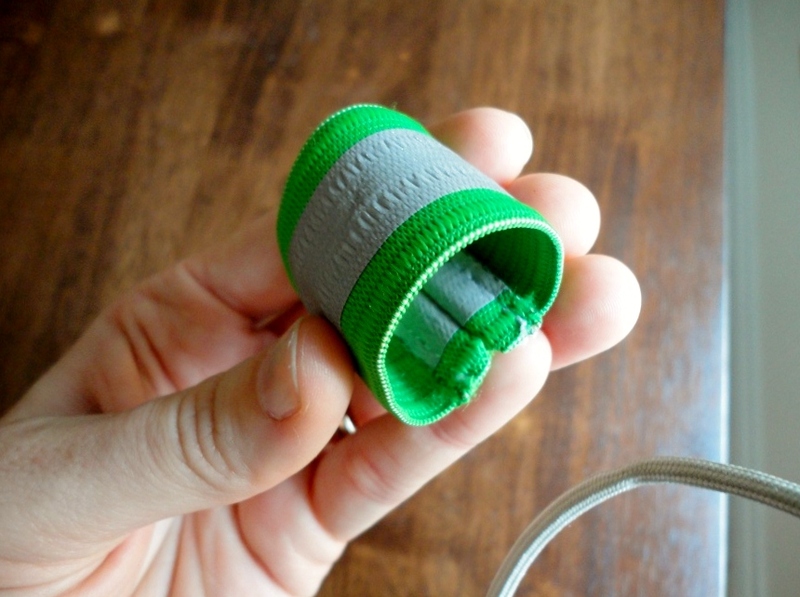 This way, if I want it on Teton’s collar I can easily attach it but if I decide that I want to wear it I can slide it over a belt loop. 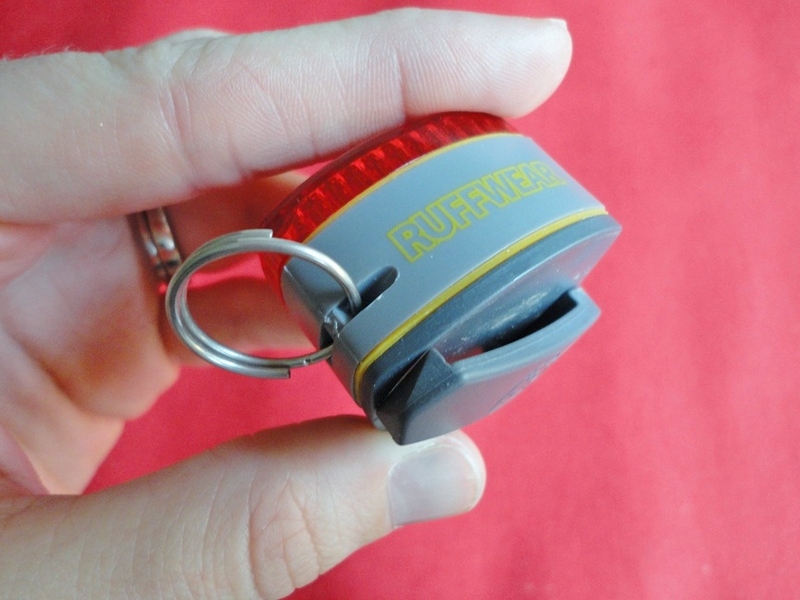 To turn The Beacon on, simply press the small yellow button on the bottom of the device. 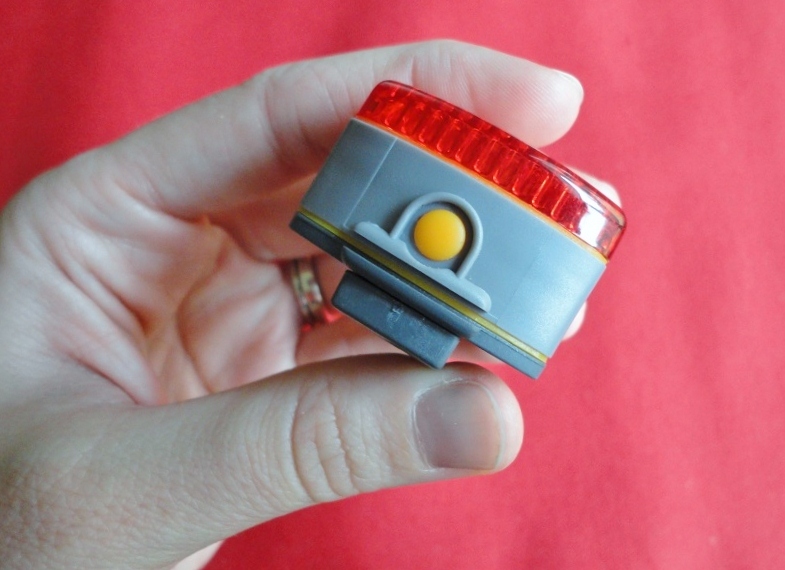 …my favorite is that The Beacon has three different light modes. Check ’em out. We haven’t tried The Beacon outside yet, but we definitely will this weekend! I’ll let you know how it is in action. Since it’s darker in the morning and early evening now it’s super important to be safe and visible especially if you live in a neighborhood with lots of traffic. 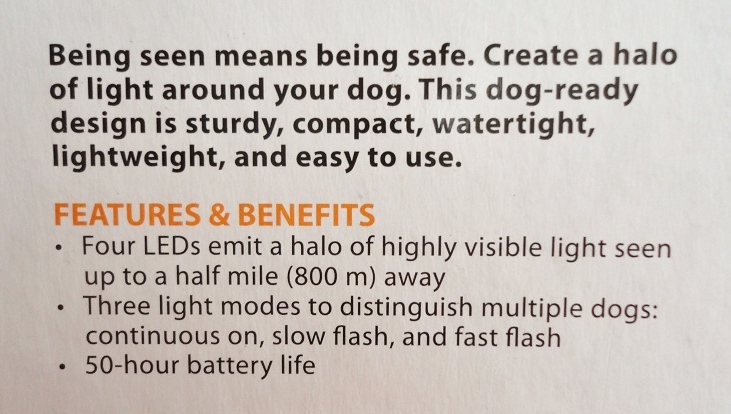 What other safety devices have you found for your dog? Night, y’all! Have a great Friday and a wonderful weekend. 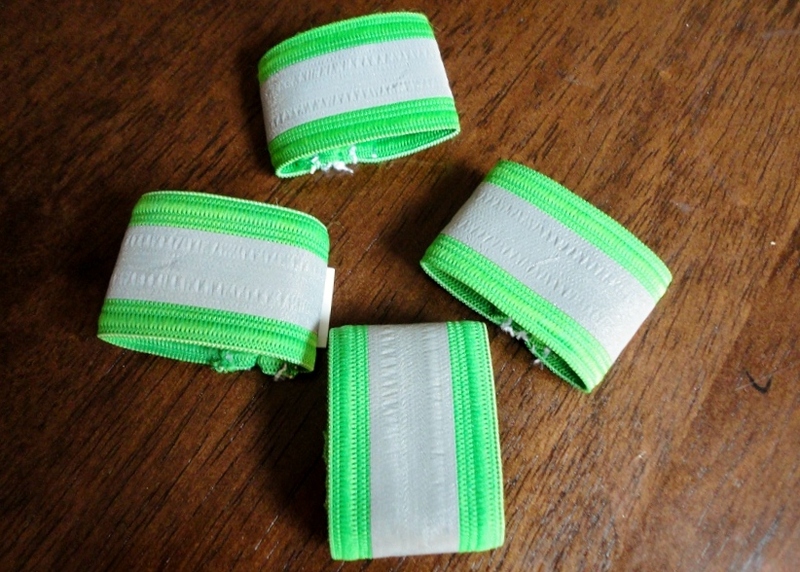 Posted on September 22, 2011 by Shannon	This entry was posted in Safety First. Bookmark the permalink.